This easy open lever lock 55 gallon drum spill kit is ready for a fast response to any spill. The spill kit is the perfect size for most industrial response applications. Each kit absorbs approximately 50 gallons of fluids. This 55 gallon drum spill kit is available with top of the line universal, oil-only and hazmat absorbents. 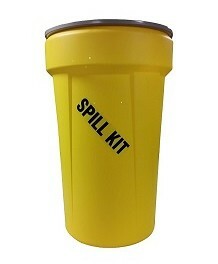 The reason it is one of our top selling spill kits is because it is priced right. The drum container for our kits is chemical and weather resistant, HDPE construction, UN certified, UV protected, UL 94 HB Flammability Rating and the operating temperature range is -30 degrees to 130 degrees. The easy open lever lock can also be locked with a zip tie/tag to indicate if used or to prevent removal of contents. It is good to know the contents of the kit is well protected for when you need it. Compare the contents of this kit with any other kit on the market and you will see the value here. Besides the large amount of absorbent material, each kit has two pairs of safety goggles and two pairs of gloves. It is ready for two individuals to work on cleaning up any spill. Detailed how to use Instructions are also included in the kit. We can customize this kit to fit your needs. 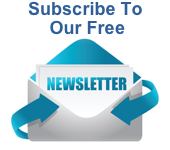 If you have a need for a large number of units, contact us by email or call toll free (800) 869-9633 for discount pricing. Contact us for large quantity discount or freight quotes. Shop Absorbents Online For All Your Spill Clean-Up Needs!